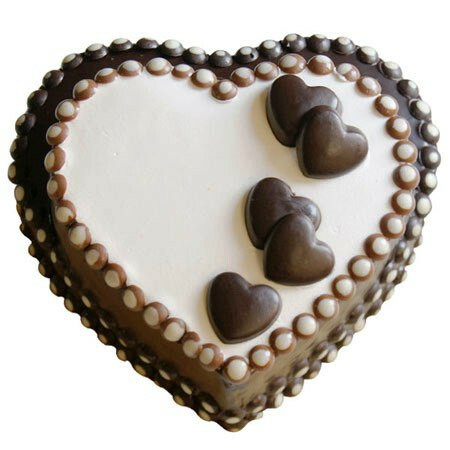 Nothing Speaks of Closeness Better than a Heart shaped cake carved Beautiful over a larger Heart shaped cake!. The cake is available in various flavours like Chocolate, BlackForest, Butterscotch, Stawberry, Pineapple. Net wt.2kg. Please place 1 day advance order.